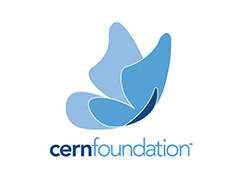 These temporary tattoos are 1.5" x 1.5" in size with the blue CERN Foundation butterfly symbol. This order comes with 5 temporary tattoos for $25. Order and wear your tattoo with pride to help create awareness of this rare disease! Let's END this disease!